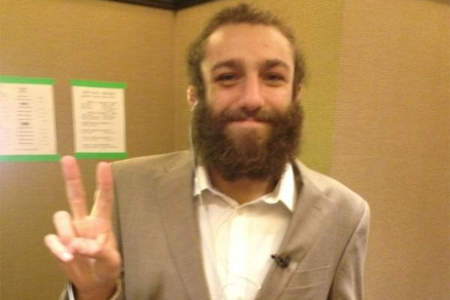 Michael Chiesa (Pictured) entered the finals of “The Ultimate Fighter: Live” as a 2.5-to-1 underdog, but that kind of adversity wasn’t about to deter the bearded brawler. In the second episode of the reality show, Chiesa received a heartbreaking telephone call from his mother informing him of his father’s passing. Mark Chiesa had been ill for some time, but had insisted his son pursue his dream of becoming the next Ultimate Fighter. On Friday night, Chiesa turned his dream into a reality by submitting Al Iaquinta with a rear-naked choke at 2:47 in the 1stRound. It was an emotional fairytale ending that a Hollywood movie could never top. Chiesa was Urijah Faber’s fifth pick this season and disposed of Jeremy Larsen, Justin Lawrence and James Vick, respectively, to get to the finals. With the victory, Chiesa secured his future with the planet’s most prestigious mixed martial arts promotion by earning a six-figure UFC contract, three-fight sponsorship with TapouT and a Dyna Street Bob Harley-Davidson motorcycle.